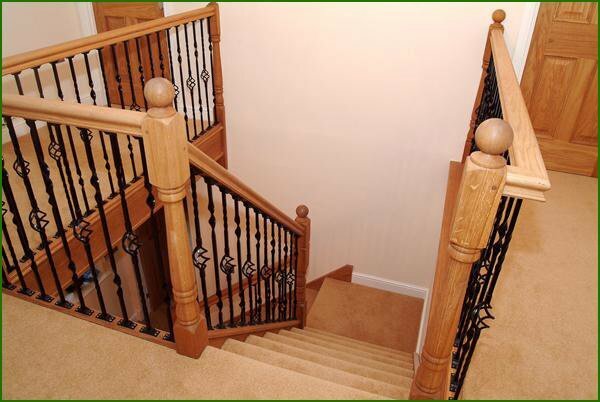 An oak quarter landing, closed-tread staircase featuring turned newels complete with ball caps. 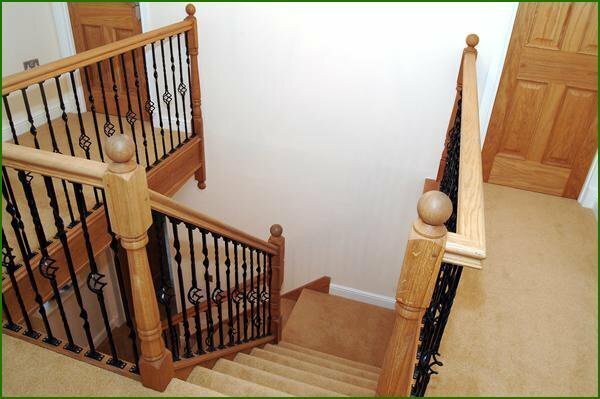 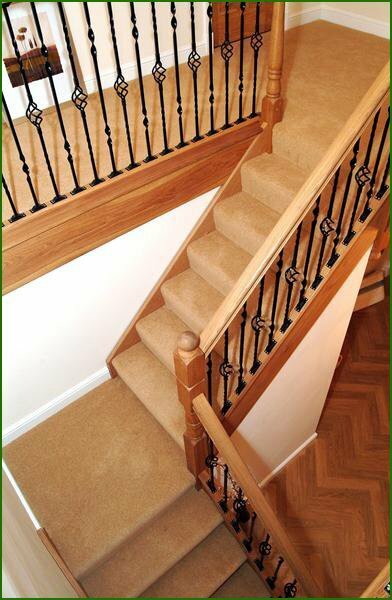 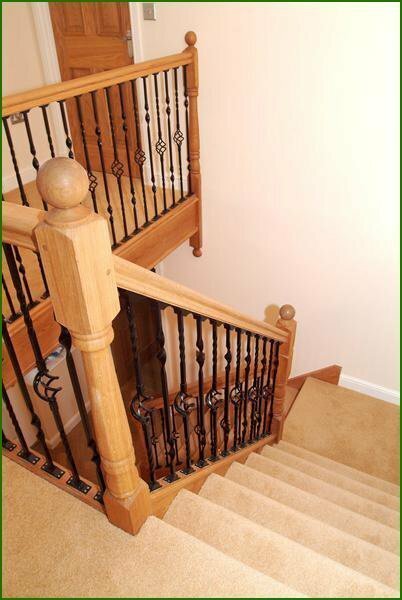 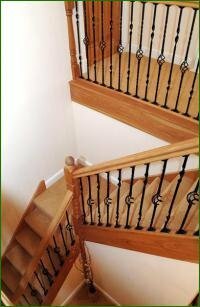 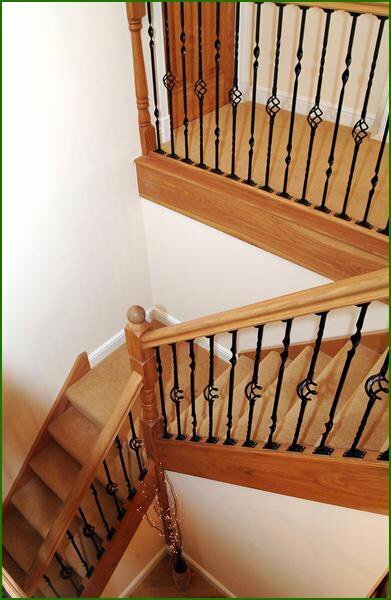 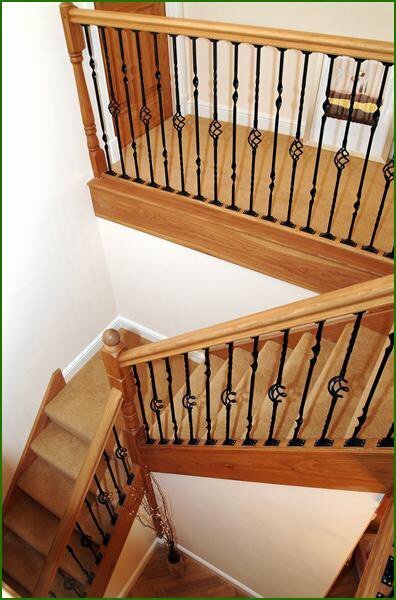 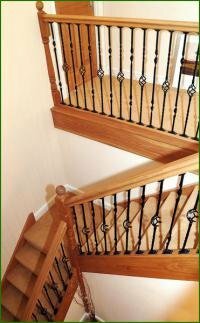 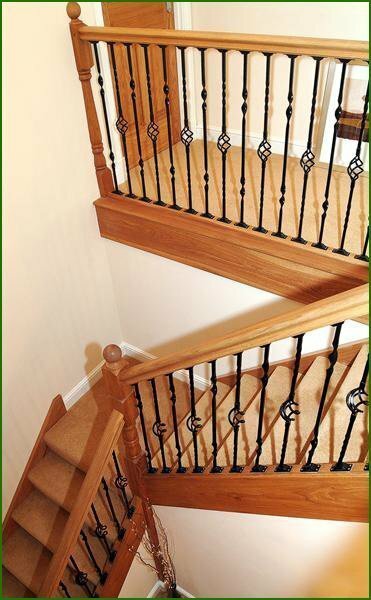 The spindles are from our metal spindle range. 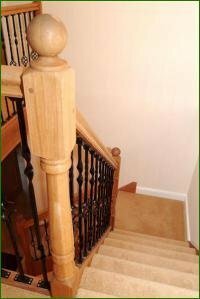 The client opted for Savannah and Madison spindles placed alternately.